When I saw a picture of my friend's girls' mermaid tails last year, I knew we needed to do a Mermaid Photo Session. These tails are AMAZING!! 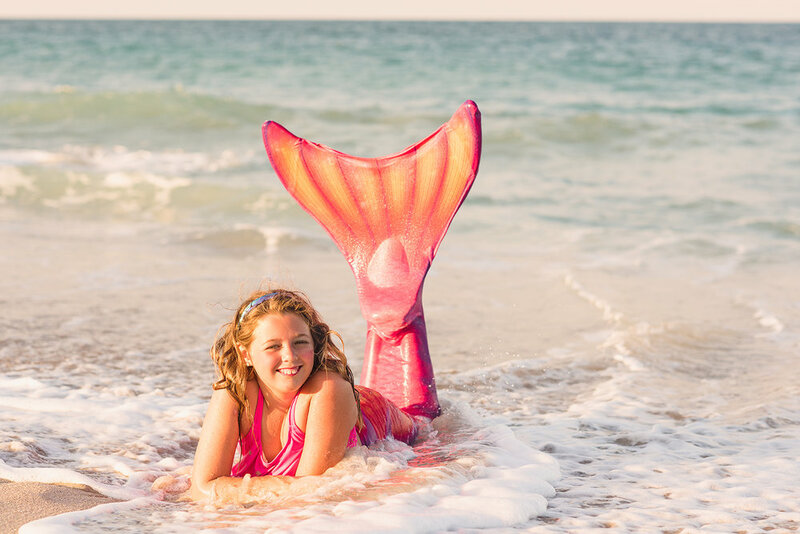 When wearing them, the girls really feel like beautiful mermaids, and what fun is that?! For them, for moms and for the photographer, too! It makes for gorgeous images. My four-year old is obsessed with mermaids. If you ask her what she wants to be when she grows up, she'll tell you: "A Mermaid." Her birthday is coming up next one. Can you guess what her birthday gift will be? 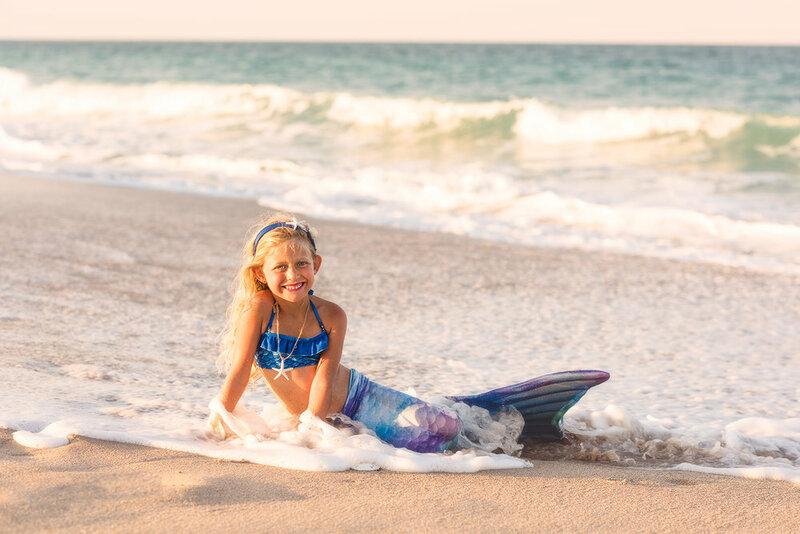 In the fall 2018 I will have Mermaid Photo Sessions available in Vero Beach, Fort Pierce and Sebastian!